We provide the business community with the resources to access the technology and knowledge developed at the University of Alicante. Our main goal is to get in touch with companies and researchers to promote the development of R&D+i projects and find technology solutions for business needs. We also collaborate in R&D project financing, technology protection, contract management, international projects, collaborative projects and in-company traineeships. 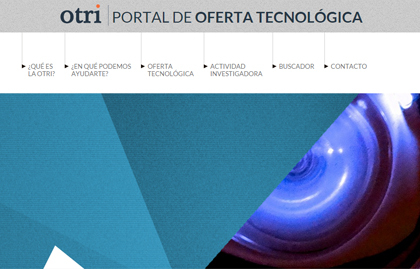 The Technology Transfer Office advises researchers and external institutions in the development of R&D projects and supports the management of several tasks related to research and technology transfer. University of Alicante entrepreneurship promotion programme which aims to boost the creation of spin-off companies. The results of research carried out in the University may be the source of new companies. They are business and growth opportunities in technologically advanced sectors. Alicante Science Park is located next to the university campus and conceived as a space for excellence and innovation to stimulate business-university relations and energise both technology transfer and competitiveness in the economic system. Do you need to recruit trainees? If you are looking for students to be trained in your company as part of their extracurricular practical experience, let us know.